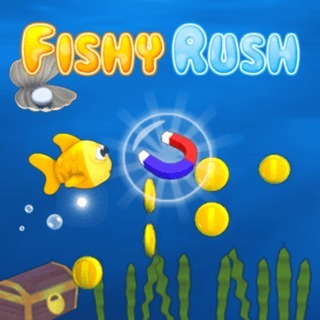 Play Fishy Rush and more New Games Games on Games1.com! Fishy Rush is a highly addictive and challenging underwater adventure! Help the little fish on its way through the ocean, collect coins, gather power ups, complete missions and buy upgrades. Be careful: the deep sea is full of dangers like sharks and blowfish. What's your highscore?